We are on the last day of the year and this year was full of ups and downs. Being a final year student and maintaining a blog is never an easy task. I had the most stressful week since I have to finish my project within the stipulated time. I hardly had time to eat and sleep. I somehow managed to finish it. How can I neglect my blog for these reasons, So I’m back with another post today. I hope I will be regular in blog work after the 2nd week of January. Ok, guys, let’s get to today’s post. 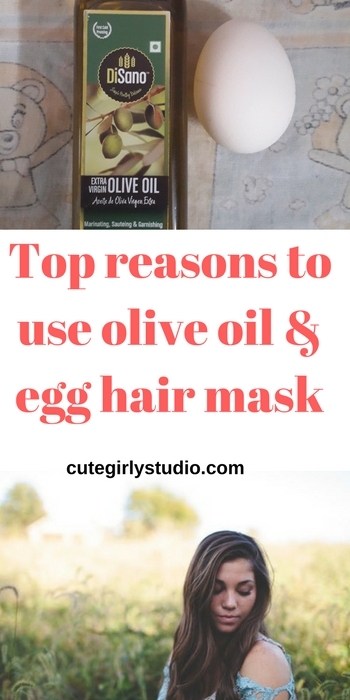 From the title itself, you guys know that I’m gonna talk about olive oil and egg hair mask. 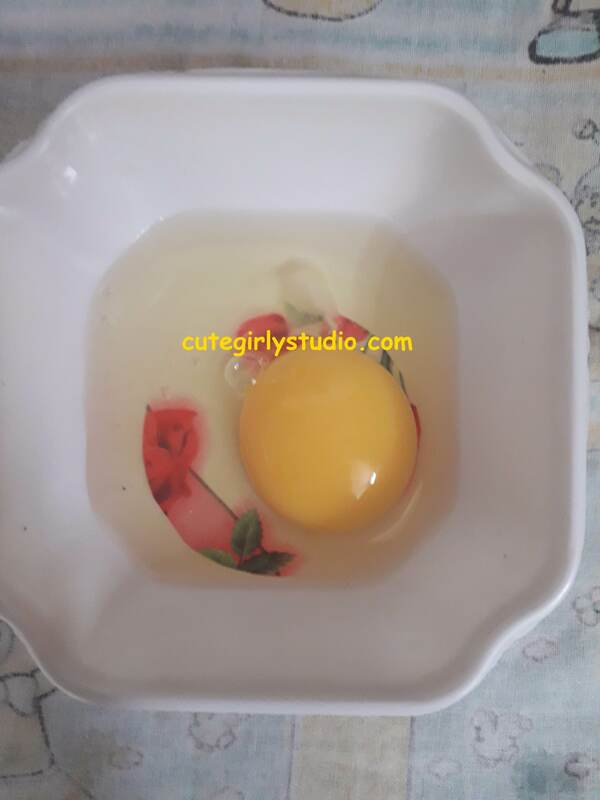 This simple hair mask has so many benefits in it, read more to know why you should start using olive oil and egg hair mask. 2 to 5 drops of any essential oil(optional) I use rosemary essential oil. Since I want to grow my hair I use whole egg and rosemary essential oil. If you have dandruff issue then you may also use tea tree essential oil. The essential oil covers the smell of egg and trust me guys your hair won’t smell gross. 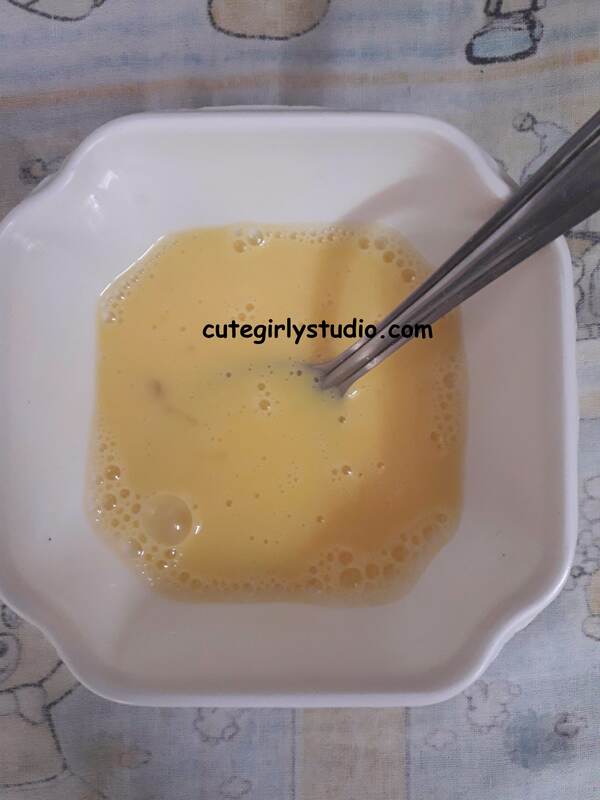 Take egg in a bowl and then beat it well using a fork or spoon. 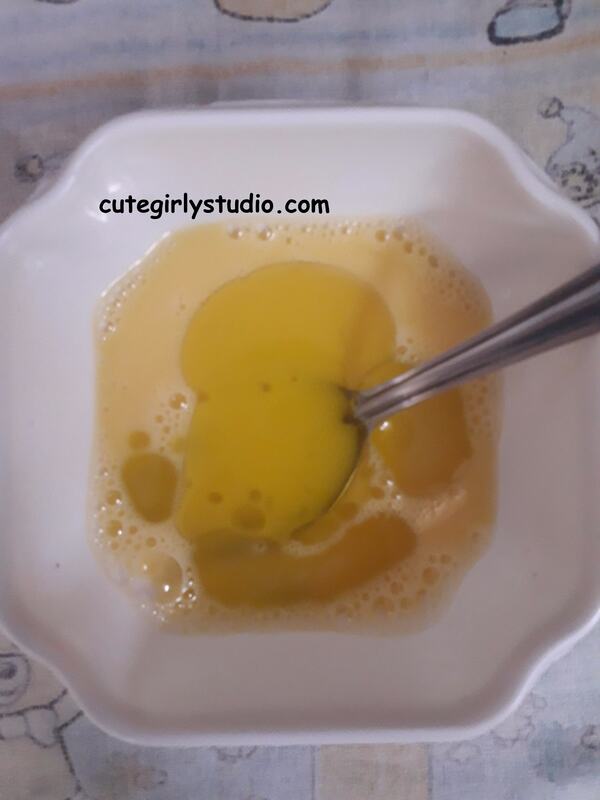 Now add 2 tablespoons of olive oil and mix it well so that egg and oil mix together. Now add few drops of essential oil if you are using. Now apply this mask all over your scalp and all over your hair length. Leave it for about 30 to 45 minutes and then shampoo your hair. 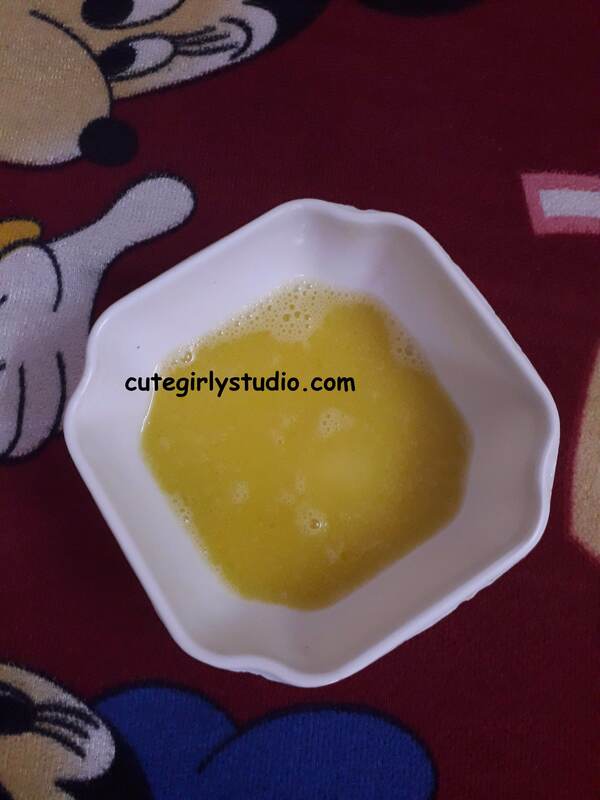 Egg yolk moisturises your hair and makes it soft and shiny. Egg white helps to balance oil production at the scalp and it also makes hair strong since it is rich in protein. Olive oil keeps dryness at bay and also maintains scalp in a healthy condition thus it encourages faster hair growth. This hair mask prevents split ends. Olive oil and egg hair mask reduce hair fall. It also increases hair volume and length with regular usage. WHY SHOULD YOU USE EGGS? If your hair doesn’t grow beyond a certain length, it means that your hair needs an additional supplement to grow. It is given by eggs. Eggs are rich in biotin, protein, sulphur and zinc. These are required to grow your hair longer and these are responsible for your hair’s texture. If you have the adequate amount of biotin then your hair grows faster and your hair will be softer. Egg yolk has Vitamin D which accelerates your hair growth speed. Vitamin E present in eggs prevents your hair from pollution damage and sun damage. Vitamin B12 nourishes your hair follicles thus reducing hair fall. Sulpher present in eggs helps to regrow your lost hair. This component is responsible for the gross smell but trust me guys, sulphur helps to regrow your hair in a short period. The fatty acids present in egg yolk makes your hair softer and smoother and thus reducing breakage. If you use eggs in your hair mask regularly. You can notice new hair growth. WHY I USE OLIVE OIL? Olive oil moisturises your dry and brittle hair. It adds weight to your hair and thus your hair won’t look frizzy. Olive oil conditions your hair like no one’s business. It is rich in Vitamin A and E and thus it protects keratin in our hair. Build up caused by our hair sebum may reduce hair growth, Olive oil helps to remove build up caused by sebum and thus promotes hair growth. If your hair is unmanageable, then Olive oil can be your best friend. Since olive oil is a deep conditioning oil, it makes your hair more manageable. Olive oil adds softness and shine to your hair. If you use olive oil regularly for your hair, then you can happily skip using conditioner since your hair will be extra soft and smooth. While using olive oil, try to use extra virgin olive oil. Don’t go overboard with shampoo, after using this hair mask. The egg has cleansing properties, so if you use more amount of shampoo then you may end up drying your hair. If you have heavy hair fall, You may add onion juice or black seed oil to this mask. You can double or triple this mask recipe depending upon your hair length and volume. Do you suffer from dandruff issues, then You may add few drops of lavender or rosemary, lemon or tea tree essential oil for extra benefits. If you want to grow your hair faster, You may add few drops of lavender or rosemary or cedarwood or peppermint essential oil for added benefits. Do you use egg hair masks, then share your experience with it in the comments section below. Subscribe to my blog. Don’t forget to follow me on Instagram | Facebook | Pinterest.